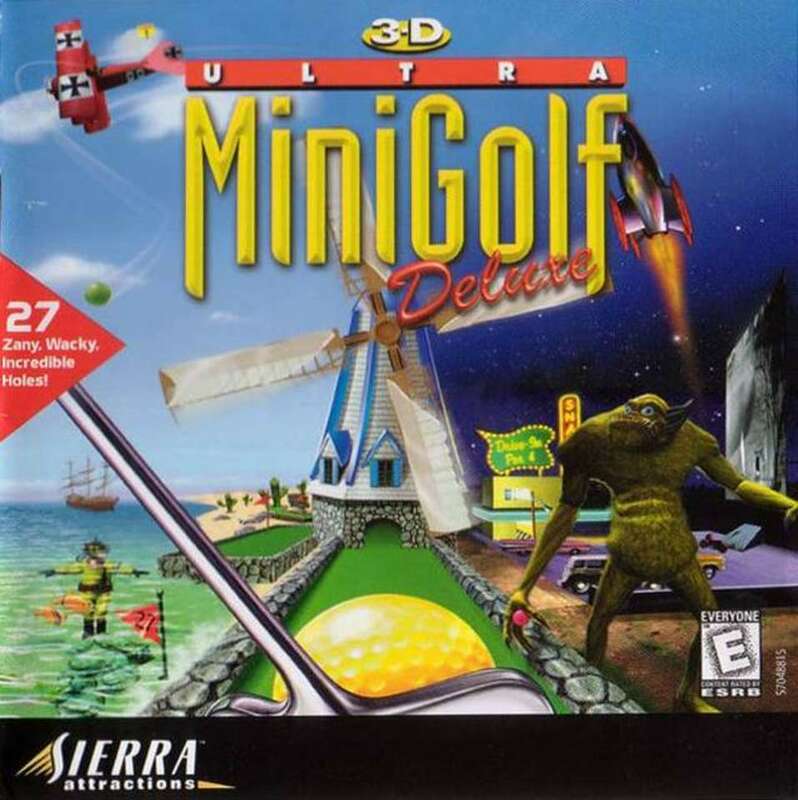 3D Ultra Minigolf Deluxe is a Windows 3.1 game I used to play a lot with my family. Long nights were spent putting through the crazy courses and listening to the game’s wacky narrators. Designed by Dynamix and published by Sierra, this deluxe version includes 9 holes in addition to the original release’s 18. It was made by the same studio as the critically-acclaimed Tribes series and the widely-known puzzle game The Incredible Machine, so it’s no wonder this game was great too. I couldn’t find a complete online resource for this game, so I decided to add this page to my site to share! At some point I’d like to also get screenshots up of all the levels (all the holes, I mean), similar to what I did for Marble Drop. If you would like to play this game, I recommend getting a Windows 98 install set up in VMWare Workstation Player (free for non-commercial use), and downloading the Win3.1/95 ISO of the game, available in the infobox up right. That will give the most authentic experience!